The Lost Dogs’ Home is celebrating a very exciting, landmark event – the completion of our newly constructed $2.35 million The Lost Cats’ Home. Its opening marks the culmination of many years of planning, funding, and of course building a structure that is going to mean an enormous change and improvement for cats here at the Home. The facility commenced operation on Wednesday December 22, with a more formal open scheduled for a little later in the year. 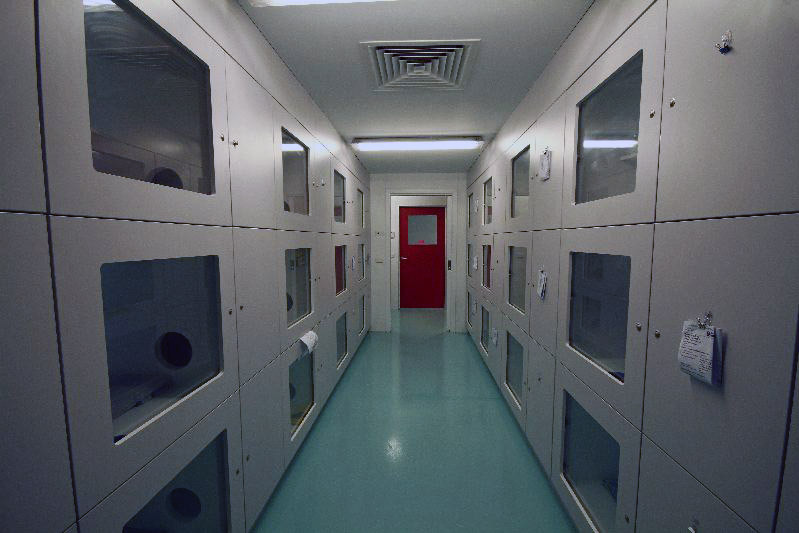 “We are very excited by this state of the art, innovative and attractive new cat shelter. We expect to increase the lost cat claim rate and also to increase the adoption rate.” said the Home’s Managing Director Dr Graeme Smith. The Lost Cats’ Home has been built on the premises after the acquisition of a factory space next door to The Lost Dogs’ Home at 2 Gracie Street North Melbourne, and it will double the number of lost cats we are able to hold. Here at the Lost Dogs’ Home, we love our feline and canine tenants equally, but the cats have undoubtedly been in need of a bigger and better base from which to have treatment and assessment while they wait for their owners to claim them. They will now enjoy state of the art facilities, in the form of 200 new air conditioned ‘cat condominiums’. And, we must admit, they will probably breathe a collective sigh of relief to have their own separate shelter, removed from the boisterous barks and yaps coming from the dog-end of town. Since the Domestic Animals Act was introduced in 1996, there has been a huge increase in the number of cats and kittens being admitted to the Home. Councils began to implement a range of cat collection programs, and this has meant that in recent times we have had years where the number of cats admitted has exceeded the number of dogs. This dramatic rise simply had to be met, and we are thrilled that the support of so many donors and benefactors has enabled us to do this. When our donors and benefactors learnt of the need to upgrade and improve our cat facilities, the Home was overwhelmed by their giving and their generosity. The new facility will make a huge difference to the level of care we are able to give to vulnerable cats and kittens. By housing them in our purpose built cat condos – which each house up to four kittens or one adult cat, and have in-built temperature and ventilation controls, as well as en suite bathrooms – we will be able to drastically limit the incidence and spread of cat flu. Cat flu is a problem in most cat shelters. The cat condos should reduce the incidence of the condition from 15% to 3%! “This world class facility will set a benchmark for the rest of the country,” said Dr Smith. Having a separate shelter building for our cats and kittens also gives us the perfect opportunity to increase awareness of some of the Home’s less high profile tenants. We take in approximately 10,000 cats and kittens per year. While previously they may have lived a little in the shadow of the dogs, our new Cats’ Home will ensure that these animals in need have a solid profile in the community. “I am very proud to see the completion of the vision to both raise the profile of cats here at the Home, and to significantly improve their living condition while they are under our care awaiting their owners to claim the.” Said Dr Smith. Along with this information, I have attached some photos taken inside the new Lost Cats’ Home. You will notice some wonderful artwork on the wall done by artist Shaylee McKenzie.